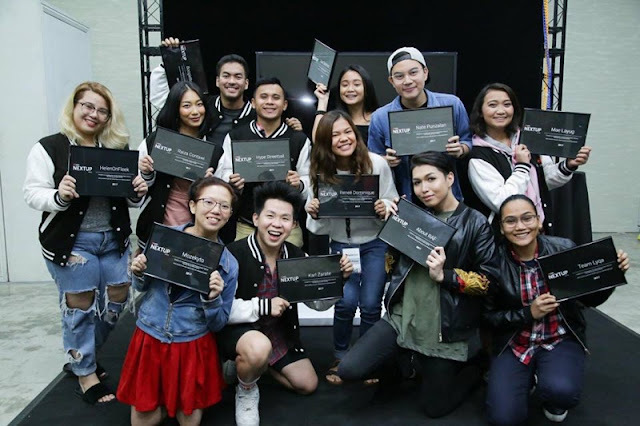 Enter now for a chance to be part of YouTube NextUp Manila’s class of 2018! YouTube announces the launch of its NextUp contest in the Philippines to turbocharge the careers of local up-and-coming YouTube creators. Since its launch in 2011, NextUp has helped over 500 creators in more than 13 countries take their channels to the next level, giving them skills, mentorship, and a network to help them create compelling content. This year, YouTube NextUp is looking for creative and inspiring creators who will join a week-long creator camp at the next YouTube Pop-up Space Manila from September 7 to September 12 where they will learn production techniques from NextUp alumni and work closely with top YouTube creators. So who’s NextUp? YouTube is looking for passionate and motivated YouTube creators who are ready to create powerful stories with better production skills; those who are seeking mentorship from production and channel development experts, and eager participants looking for an opportunity to collaborate with talented creators and be a part of the global NextUp community. To enter the contest and see full details, go to youtube.com/nextup to fill out the application form. To be eligible for NextUp Manila, your channel must be in good standing with 10,000 to 100,000 subscribers. The channels will also be selected on the basis of their potential for improvement, capacity for attracting audiences, and alignment with YouTube’s core values. The deadline for submitting the application form is August 3, 2018. NextUp’s launch in the Philippines further boosts opportunities for a growing community of Filipino creators. Last year, the Philippines saw a 50 percent growth in hours of content uploaded to YouTube. The number of Gold Creator Award channels also almost doubled, with more than 15 Gold Creator Award channels in 2018. For inquiries on YouTube NextUp Manila, visit youtube.com/nextup or send an email to nextup@youtube.com.